In 2018, Orange Foundation together with CPE - Centrul Parteneriat pentru Egalitate, opened the first Women's Digital Center in Romania, offering a new chance to women in need to get a job and become financially independent. The project joins other 17 countries worldwide, where over 11,000 women benefit from digital education. Women's Digital Centers is a digital education programme for women in vulnerable situations, with no income and low-education, through which they benefit from free digital literacy, personal and professional development courses. Women enrolled in the program learn how to use Microsoft Office, the printer, the Internet, how to set up an e-mail account and use the e-mail services, as well as other online applications such as Skype or Whatsapp. Adriana learned to read by herself because she attended church mass and wanted to read prayer books. She dreams of opening her own flower shop one day. “So I have learned to read with “Our Lord” prayer, So, step by step I learned to read and now I am learning how to write. And I finally decided to go to school, to start from zero. I wish with all my heart to work. I felt that I could progress, that I could do something more. Not only to cook and take care of the house but to learn something, to improve myself. 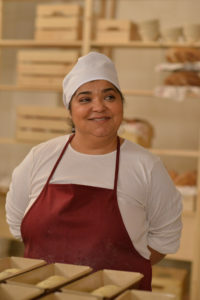 From cleaning woman to become a baker, I can go even further, why not. And maybe in 10 years, by learning, by further progressing I can prove to my children what I can do and this way motivate them to do more for themselves. My greatest dream has always been to open my own flowers business, a flower kiosk. I believe in my dream and I hope I will succeed”, added Adriana. The objective of the Bucharest Digital Centre is to train 400 young women and girls from vulnerable minorities in digital technology to help them to integrate socially and economically. They also learned to create a CV and prepare for a job interview. The programme also encourages group activities and individual counseling sessions that will help these women to resocialize and prepare to deal with different workingsituations together, but also restoring their self-confidence. After 6 months on this program, Adriana managed to advance in her professional life. “I was promoted at my workplace, I learned how to write correctly, with all the orthographical signs, how to access different websites when I need to. I have evolved during this period, here at the Women’s Digital Center. My boss calls me sometimes when she cannot arrive at the office to help her with different activities on the computer. It’s a good thing that she can count on me,” Adriana confesses. “After six months, I believe that the women who came here earned information and much more valuable qualities such as patience, attention, and encouragement. 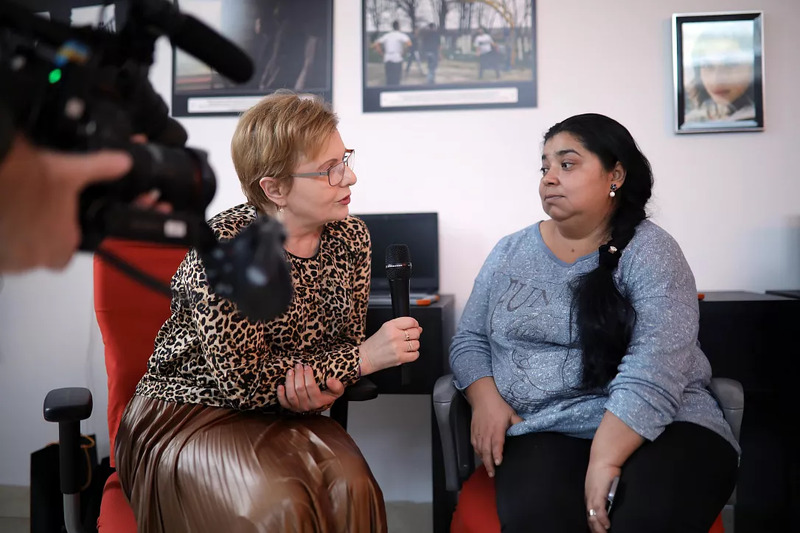 Many of them told me that their self-confidence level has increased, that they feel more confident regarding what they could do, and about the way their life could look like.” said Irina Sorescu, President of CPE - Centrul Partneriat pentru Egalitate. The training center is fully endowed with laptops, tablets, printers and video projectors. The value of the project amounts to EUR 40,000 euros which have been received from the Orange Romania Foundation. The Orange Romania Foundation was established in 2012. Its strategy focuses on national projects offering access to education, healthcare, culture and the digital world for people with sensory impairments, particularly children who are visually impaired, deaf or mute.